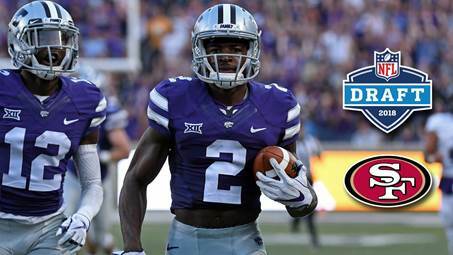 MANHATTAN, Kan. – Kansas State junior defensive back D.J. Reed heard his name called on the final day of the 2018 NFL Draft on Saturday as he was selected in the fifth round by the San Francisco 49ers, extending K-State’s Big 12-leading draft streak to 25 years. 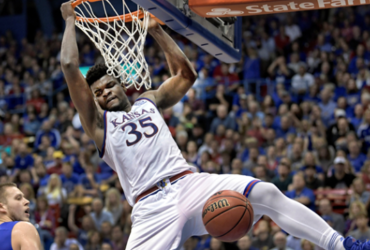 The Wildcats’ 25-year draft streak is two better than Oklahoma and 14 better than the next best Big 12 team (West Virginia), while the streak is tied for 12th in the nation. Reed, a native of Bakersfield, California, was selected with the fifth pick of the fifth round – No. 142 overall – and will play just four hours north of his hometown. He joins another former Wildcat in linebacker Elijah Lee, who just completed his rookie season in San Francisco. A former community-college prospect from Cerritos College, Reed is the first Wildcat cornerback taken in the draft since Joshua Moore by the Chicago Bears in 2010. He is the sixth Wildcat ever taken by the 49ers and the first since running back Thomas Clayton was selected in the sixth round in 2007. Reed completed his two-year K-State career with 122 career tackles, seven interceptions and 32 passes defended. A 23-game starter at cornerback, he also picked up return duties as his career progressed, finishing with a 32.2-yard career average on kickoff returns to rank second in school history. A two-time First Team All-Big 12 pick as a defensive back, Reed was a 2017 Second Team All-American as both a kick returner (Walter Camp Foundation and Football Writers Association of America) and a defensive back (Pro Football Focus). Reed will be joined in the NFL by other Wildcats who will sign free agent contacts. Those announcements will be made over the next week.